I wrote this poem with a special anniversary in mind. Dan and I will have been married thirteen years on Tuesday 29 May. We’re in this for life and I shall never forget the kiss that sealed our wedding vows. 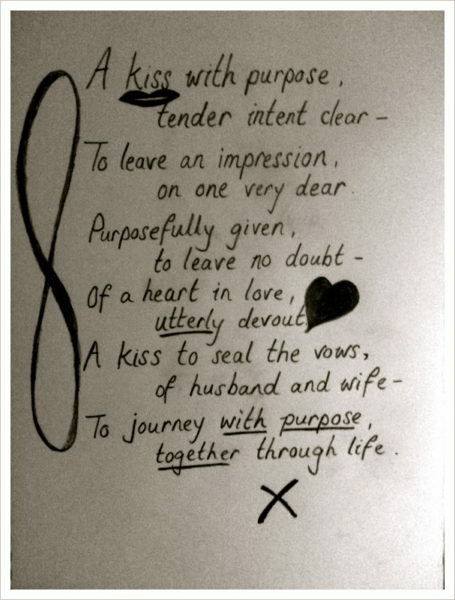 A kiss of purpose. Dan, Sarah, Special Days, Writing wedding anniversary. permalink.